In this aromatic pickle shallots make all the difference with a much gentler, sweeter flavour than pickling onions. Place the shallots in a bowl, sprinkle over the salt and leave covered for 24 hrs. 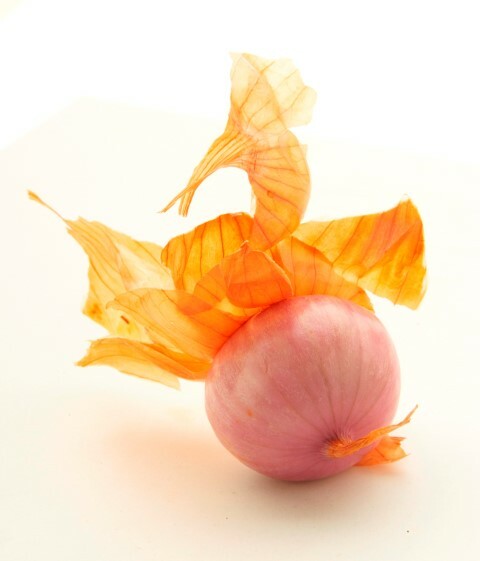 This process helps the shallots stay crunchy. The next day heat the vinegar until simmering, do not boil, add the sugar and spices, stir until dissolved, and simmer gently for 10 minutes. Rinse the shallots and dry with kitchen paper, spoon into sterilised jars, placing the cinnamon sticks, chillies and allspice from the vinegar in at the same time. Pour in the hot vinegar so the shallots are covered, leave to cool then put the lids on and leave for a few weeks, they will improve over time but the very earliest for eating is 2-3 weeks after pickling. Store in the fridge after opening. Serve with wedges of cheddar cheese and thick sliced ham.